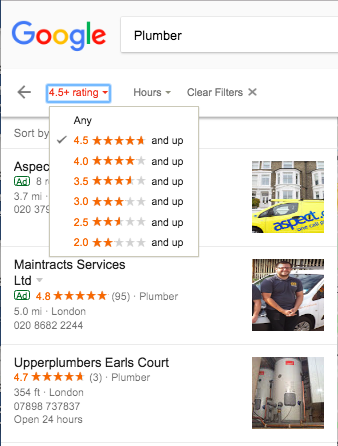 ...this means that any business scoring 4.4 or less will now not be shown - at all - to searchers that enable this filter (who - you and we might well ask - will select any other filter?). 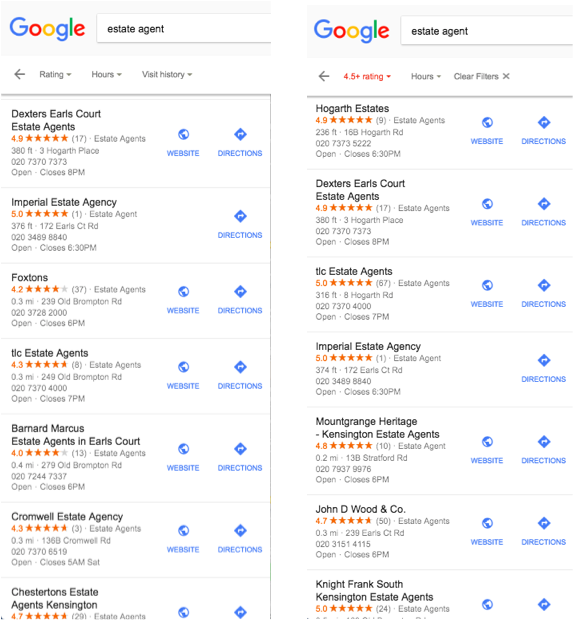 They are reacting to the significant upswing in the use of the qualifier 'best' in search strings ('best' plumber, 'best' estate agent) reported here last year. Google have realised that their users don't just want businesses that score 4 out of 5 - understanding, as they increasingly do, that this is likely to deliver a business that score 1 or 2 stars from up to 20% of its reviewers. ...it is far from perfect (you might reasonably expect Chestertons to feature in the filtered search, for example), and we would like Google to think about factoring the number of reviews into their algorithm to add value (a single one star review next, and Imperial get filtered under this system - under a system that required a minimum number of reviews - say thirty* - few of these businesses would pass the filter, but the ones that did would have taken reviews seriously). This new benchmark - 4.5 - confirms what HelpHound has been saying for quite some time now: a business has to score in the high 4's to succeed. 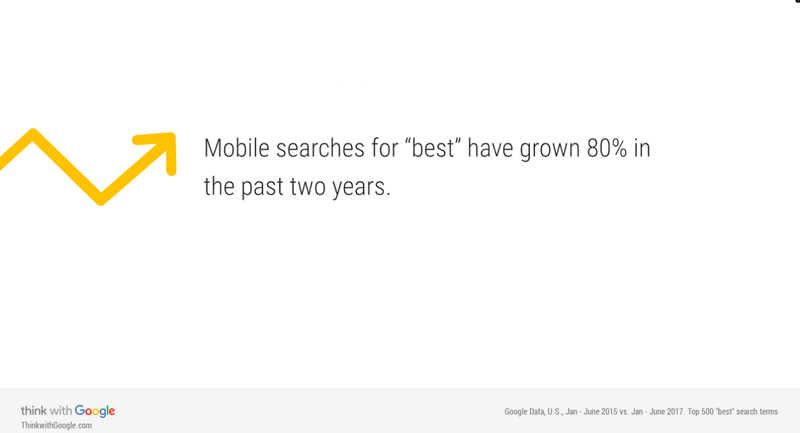 But still we meet business people that treat Google scores like an exam - '3 out of 5 is a pass' - no, it emphatically is not, and nor is 4. 4.5 is the new bar - and businesses must do everything in their power to clear that bar, staff training, effective CRM and - wait for it - professional review management. This filter applies to all sectors and verticals now. Take action now. *And a note on why we chose the number 'thirty' for reviews - it's at about that point that a savvy consumer begins to trust a business. Below that and the feeling that 'any business can get ten or fifteen friends and family to write a review' prevails.